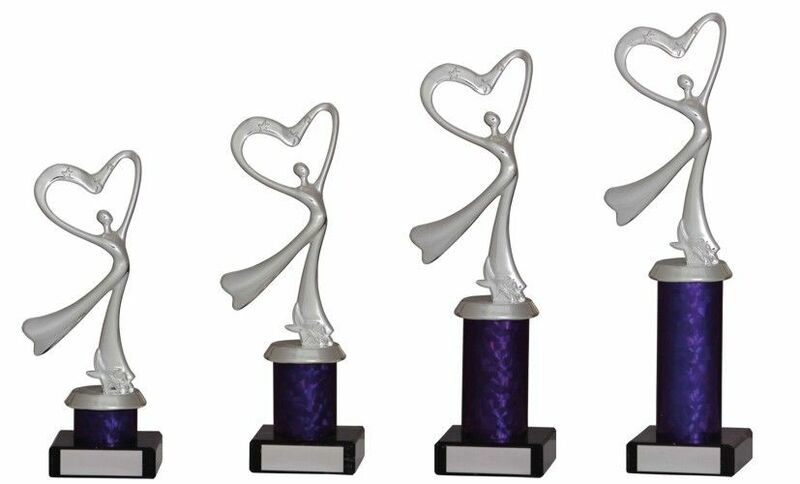 Silver and Purple Modern Dance Trophies. Available in 4 sizes, 200mm, 230mm, 250mm and 280mm high. Silver dance figure on tubing riser and a heavy black marble base.